DFA’s declaration to contest the China-named features is one step toward safeguarding Philippine territory. We hope they will follow through on the nullification of these Chinese names in Philippine Rise. China has violated our sovereign rights in discovering these features and must not be given the honor of naming them. Inaasahan natin na ipaglalaban na ng administrasyon ang Philippine Rise at susuportahan ang ating mga scientists sa pagsasagawa ng independent research sa ating teritoryo. With the government in a better fiscal position to invest in manpower and equipment, Sen. Bam Aquino committed to support Filipino scientists and other government agencies closely working in the Philippine Rise. “We should be investing in our own capacity to do research. Huwag dapat tayong laging dependent sa mga foreign partnerships,” said Sen. Bam as he presided over the investigation on the Philippine Rise as chairman of the Committee on Science and Technology. As vice chairman of the Committee on Finance, Sen. Bam said he will find ways to support Filipino scientists and other government agencies in their effort to protect and explore the Philippine Rise. “Ngayong nakakabili na tayo ng gamit para sa modernisasyon ng ating Armed Forces, dapat na ring isabay ang pangangailangan ng ating mga scientist at iba pang ahensiya na katuwang sa pagsasaliksik at pagbibigay ng proteksiyon sa lugar,” said Sen. Bam, adding that the ideal scenario has Filipino scientists at the forefront of the research and exploration in the area. 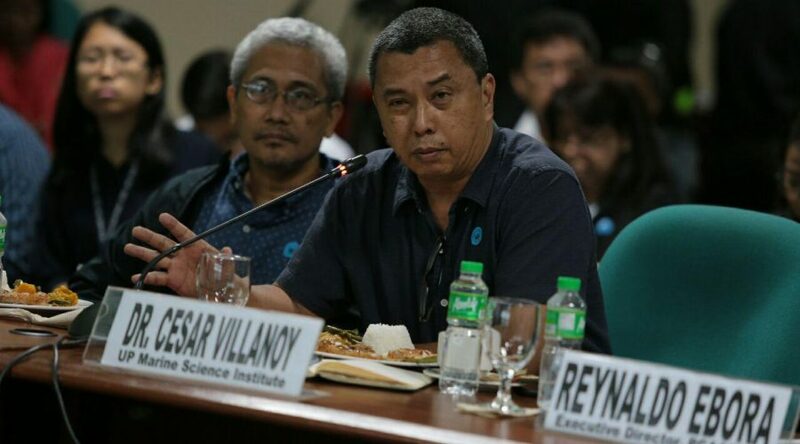 During the Senate hearing, it was discovered that China conducted hydrographic surveys in the Philippine Rise without required consent of the Philippine government. China recently named the five features found during their unauthorized research in the undersea territory through the International Hydrographic Organization (IHO). In response, Sen. Bam stressed that the government must explore all channels to nullifyChina’s naming rights. “Let’s be more vigilant with the Philippine Rise. Ipaglaban naman natin ito,” Sen. Bam said. 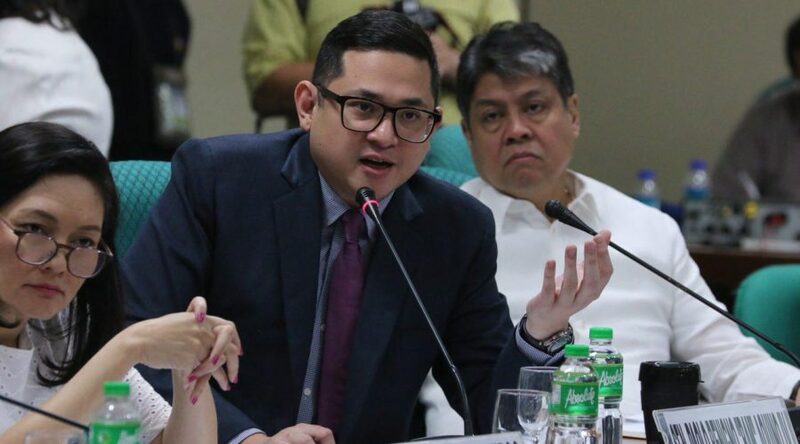 Senator Bam Aquino has called for the resignation of National Food Authority (NFA) administrator Jason Aquino and top officials, saying that they have failed to ensure food security for the Filipino people, especially the poor. “We are talking about food security for the poorest Filipino families. We need someone who can get the job done,” said Sen. Bam after attending the hearing of the Committee on Agriculture and Food on the issue of NFA rice. During the hearing, Sen. Bam stressed that poor Filipinos will have to spend P500 more a month for rice until June due to the NFA’s failure to ensure the supply of affordable NFA Rice in the market. ”Ang 27 pesos per kilo ng bigas noon ay 42 pesos na. Limandaang piso ang dagdag nito sa gastusin ng pamilyang Pilipino kada buwan kung isang kilong bigas ang kanilang nakokonsumo bawat araw. Nangyari ito dahil nabigo ang NFA na mapanatili ang mandated 15-day buffer stock,” said Sen. Bam. During Sen. Bam’s questioning, the NFA administrator admitted that the agency has failed to comply with the 15-day buffer stock policy for almost one year. With no lower-priced rice available in the market, prices of rice skyrocketed, making the expensive variety the only available option for Filipinos. Worse, the NFA administrator admitted the country’s current buffer stock for NFA rice is just 1.7 days, much to the dismay of Sen. Bam and the other Senators present. “Dahil sa kapalpakan ng NFA, tumataas ang presyo ng bigas. Isang taon nilang pinayagan na bumaba ang buffer stock natin at nagdulot ito ng pagtaas ng presyo sa merkado,” said Sen. Bam. The NFA said it expects the imported rice to arrive in June, leaving poor Filipinos with no choice but to settle for rice with prices ranging from P42 to P45 per kilo in the succeeding months. “May tatlong pang buwan magdurusa ang ating mga kababayan sa bigas na kuwarenta pataas ang halaga dahil hindi nagawa ng NFA ang trabaho nila,” said Sen. Bam. 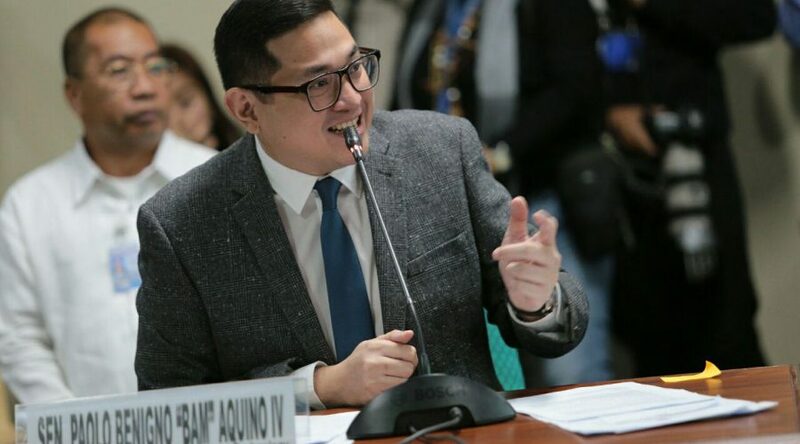 Senator Bam Aquino said that the country must find research partners who will follow our rules, during the hearing of the Committee on Science and Technology on the Philippine Rise. “Mahirap makipag partner sa pasaway. 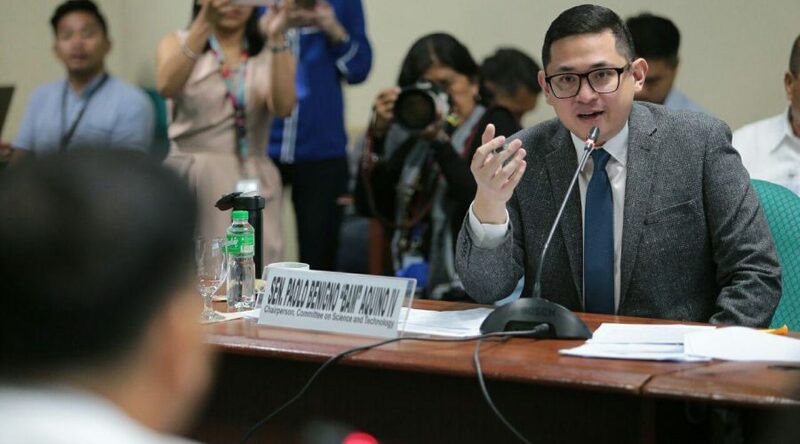 We should find partners who will follow our rules,” said Sen. Bam as he headed the Senate hearing. Through Sen. Bam’s questioning, it was revealed that in previous years, China violated the country’s sovereign rights when it conducted hydrographic surveys in the Philippine Rise without required consent of the Philippine government. During the course of their research, China found five features in the undersea territory, which they recently named through the International Hydrographic Organization (IHO). 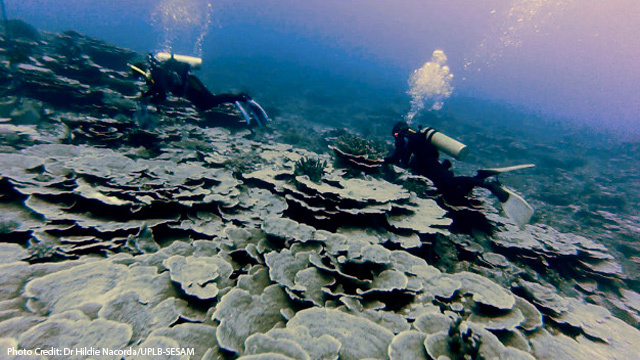 Sen. Bam stressed that the government must explore all channels to overturn China’s move to name the five undersea features in the Philippine Rise. The National Mapping and Resource Information Authority (NAMRIA) stated that the previous violation, alongside the ongoing dispute with China over the West Philippine Sea, the Philippine government can call on the IHO to nullify its approval of the Chinese names. China can also be requested to withdraw their naming rights. If they agree, Sen. Bam said this could be a show of good faith and friendship from the Chinese government. In light of the China installations in the West Philippine Sea, Sen. Bam pointed out that we should be more cautious with foreign research expeditions in the Philippine Rise and ensure that our permits are strictly enforced. We’d like to thank all of you for joining us here today for our first public hearing on the Philippine Rise, also known as the Benham Rise. As the Chairman of the Senate Committee on Science and Technology, I consider it my duty to give our local scientists and researchers the opportunity to address the government and the country on significant issues and valuable scientific initiatives. I’ve said this in the past, our Filipino scientists and researchers are sadly underappreciated in the country. There is certainly more we can do to, first, to strengthen the voice of the scientific community; and second, to provide our researchers, innovators, scientists and experts with substantial support in terms of budget and resources. Through these hearings, we hope to do both. Kayo po na may malalim na kaalaman sa ating Philippine Rise ang nararapat na pakinggan at konsultahin tungkol sa mga plano at hinaharap ng lugar na ito. Kayo po ang dapat mabigyan ng suporta at pondo sa pagsaliksik sa ating mahalagang likas na yaman sa Philippine Rise. Bilang Chairman ng Science and Technology Committee, nandito po tayo para pakinggan at bigyan ng nauukulang suporta mula sa gobyerno at mula sa budget. Bilang Pilipino naman po, isang Pilipinong nagmamahal sa ating bayan at nagmamasid sa isyu ng ating teritoryo, nandito rin po tayo upang mas maging malinaw ang isyu ng Philippine Rise doon sa pakikitungo sa mga bansa sa ating paligid. Narito ngayon ang mga eksperto sa mga ekspedisyon sa Philippine Rise, at mga eksperto sa ating national defense. We would like to thank Secretary Esperon for coming today. 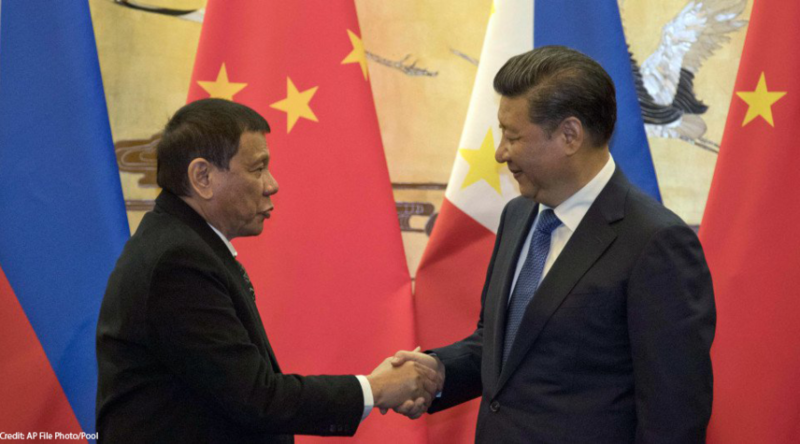 Is there a threat to the Philippine Rise, considering that on the other side of the West Philippine Sea, we have seen China already put up bases that threaten our sovereignty. What should be done to protect the Philippine Rise and to ensure that it is the Filipino people that will benefit from its natural riches in the years to come? Ano po ang ating mga agreement, hindi lang sa bansang Tsina, kundi sa ibang mga bansa, at ano po ang pakikinabangan ng ating bayan at ng ating mga kababayan dito sa mga agreements na ito. What resources do we need to pour into the Philippine Rise to make certain that its natural resources would benefit the Filipino? We hope to tackle all of these issues today during our Senate hearings on the Philippine Rise. Again, we would like to thank our experts, our friends from the military, Secretary Esperon, our friends from the DFA, our scientific community. Maraming salamat sa inyong pagpunta. And we hope to have a productive, clear and definitive meeting today when it comes to this territory in the Philippines. Maraming maraming salamat po at magandang umaga. 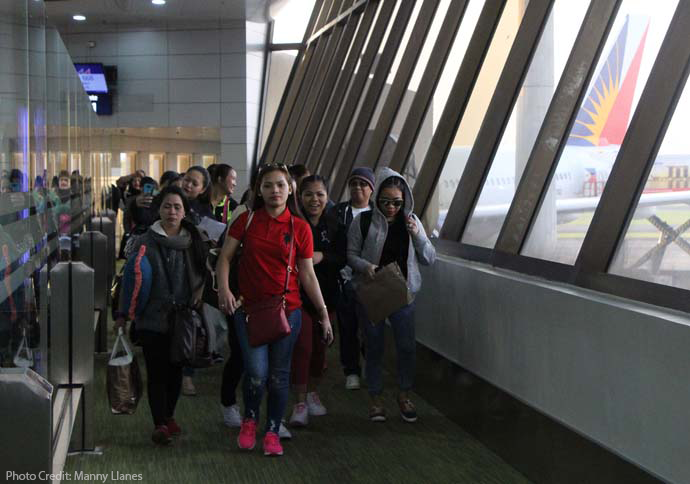 Sen. Bam Aquino encouraged returning overseas Filipino workers (OFWs) and those affected by the deployment ban to visit the nearest Negosyo Center in their area to get the necessary assistance in starting their own business. “May maaasahan kayong libreng tulong upang makabuo ng kabuhayan at negosyo. Inaanyayahan namin ang kayo na bumisita sa pinakamalapit na Negosyo Center,” said Sen. Bam, principal author and sponsor of the Negosyo Center law or Republic Act No. 10644, the Go Negosyo Act. “Sa tulong ng ating Negosyo Centers, makakapagtayo ang ating OFWs ng sariling negosyo na maaari nilang pagkunan ng ikabubuhay para hindi nila kailangang iwan pa ang pamilya para mangibang-bansa,” added Sen. Bam. As of last count, there are around 800 Negosyo Centers in different parts of the country, ready to cater to the needs of those who want to start or expand their own business. The senator said that while this is not the ultimate solution to the issue, every agency and every Filipino with the opportunity to support our returning OFWs must do their part and lend a helping hand. The Negosyo Center provides access to markets and financing for businesses, training programs, and a simplified business registration process, thus helping ease of doing business and fast-track government processes in putting up a business. The law mandates the establishment of Negosyo Centers in all municipalities, cities and provinces that will assist micro, small and medium enterprises in the country. The Go Negosyo Act was passed during Sen. Bam’s term as chairman of the Committee on Trade, Commerce and Entrepreneurship. It was the first of 19 laws passed by Sen. Bam in the 16th and 17th Congress. In the 17th Congress, Sen. Bam filed Senate Bill No. 648 or the Migrant Workers and Overseas Filipino Assistance Act to boost support for the OFW community and the families they leave back home. If enacted into law, the measure will integrate programs on livelihood, entrepreneurship, savings, investments and financial literacy to the existing efforts of embassies to equip OFWs with knowledge to start their own business. In a survey conducted by the Bangko Sentral ng Pilipinas (BSP) last September 2015, only 38.2 pecrcent of the 563 household-respondents said that a portion of the money from OFWs are set aside for savings. Aside from the livelihood aspect, Sen. Bam’s measure mandates the Public Attorney’s Office to establish a help desk in every international port of exit in the Philippines to offer legal service, assistance and advice to departing migrant workers. Sen. Bam Aquino will file a resolution urging the Congressional Oversight Committee on the Official Development Assistance to conduct a hearing on government dealings with Chinaand other countries to ensure transparency and guarantee that the Filipino people are getting the best deal. “The government owes it to the people to secure the best agreement, and not pursue a ‘friendly deal’ that will later burden the Filipino people,” said Sen. Bam. Sen. Bam made the pronouncement after Socioeconomic Planning Secretary Ernesto Pernia said the government plans to secure financing from China for its infrastructure projects through loans that charge an interest rate of two to three percent. Japan, for its part, only charges between 0.25 to 0.75 percent interest rate. “It’s not about China or Japan. It’s about finding the best option for our people. The government must bear in mind that in the end, it is the Filipino people who will bear the brunt of these loans through our taxes,” Sen. Bam stressed. Sen. Bam said the government should set aside its friendship with China and prioritize the welfare of the Filipino people. ”Napakabigat ng kapalit ng pagkakaibigang ito dahil Pilipinas ang mababaon sa utang sa mas mabigat na interes na hinihingi ng China. Ito ang dapat isaalang-alang ng ating pamahalaan,” said Sen. Bam. 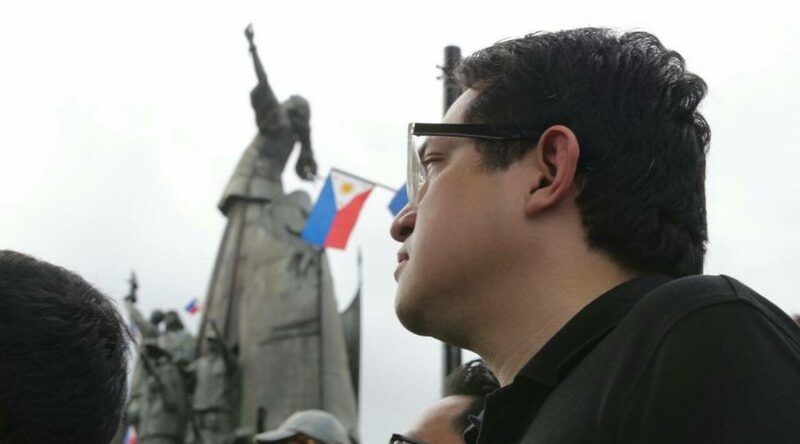 Days before the 32nd anniversary of EDSA People Power 1, Sen. Bam Aquino called on the Filipino people to harness the spirit of People Power by speaking out against bashers, online misinformation, government controversies and issues of national interest. “Kung dati, tangke ang karahap natin sa EDSA, ang kalaban natin ngayon ay mga nagpapakalat ng pekeng balita at trolls sa social media,” Sen. Bam said in a television interview. The lawmaker said the Filipino people must harness the spirit of People Power by speaking out against cyberbullies and online misinformation, while engaging in discussion about government controversies and issues of national interest. “Kailangan natin mahanap ang ating boses. Magsalita tayo at makilahok tayo sa mga nangyayari sa ating bayan, lalo na kapag may nakikita tayong mali,” said Sen. Bam. Sen. Bam stressed that today’s battle is different from the one won thirty-two years ago, but we are still fighting for the same ideals. “Ipagdiwang natin ang EDSA at alalahanin ang mga ipinaglaban noon – wakasan ang korupsyon, patibayin ang malayang media, at itaguyod ang karapatan ng mga Pilipino,” Sen. Bam said. “Beyond politics, beyond political colors, beyond political parties, EDSA People Power is about fighting dictatorship and the restoration of democracy in our country,” added Sen. Bam. Through this peaceful revolution, Sen. Bam said the world caught a glimpse of the best version of the Filipino. “Let’s celebrate People Power this year by being the best, most courageous and most compassionate versions of ourselves,” said Sen. Bam. The government owes it to the people to secure the best agreement, and not pursue a “friendly deal” that will later burden the Filipino people. It’s not about China or Japan. It’s about finding the best option for our people. The government must bear in mind that in the end, it is the Filipino people who will bear the brunt of these loans through our taxes. Napakabigat ng kapalit ng pagkakaibigang ito dahil Pilipinas ang mababaon sa utang sa mas mabigat na interes na hinihingi ng China. Ito ang dapat isaalang-alang ng ating pamahalaan. We have resolved to file a resolution to ensure transparency in all government dealings with China or any other country and ensure that our people are getting the best deal.